I first heard about Snapchat my sophomore year at Pitt (2012), though it launched over a year earlier in late 2011. At first, I resisted Snapchat, much like I resisted other social media platforms when they first came out (i.e. Twitter and Instagram). However, as more and more of my friends began to communicate with “snaps”, I decided I would give it a try and have been using it ever since. Snapchat defies some of the norms of social media. It is impermanent. You cannot “like” or “favorite”, “share” or “retweet”. It is more private. So why is it so popular? What gives Snapchat its stickiness factor? I researched Snapchat’s success and found that the following strategies have made Snapchat stick. Second, Snapchat has jumped on the trend of ephemerality, meaning lasting a very short time. Snaps disappear in a maximum of ten seconds. This relates back to a sense of anonymity and the inability of third parties to read/see your content. This also makes communication between users more concise and creative because the sender has to make sure the receiver can interpret his or her snap in ten seconds or less. Another trend that Snapchat uses is sharing live content. (An alternate example is the Meerkat app.) If you swipe left on one of your contacts and both of you hold down the yellow button, you can see each other in real time. Furthermore, you can Snapchat each other back at forth at the same time, essentially sharing a live feed of what you are doing. Besides utilizing trends, increasingly, Snapchat has added features to make the app more versatile while still maintaining its main purpose of sharing quick, easy, ephemeral content. For example, the app now allows users to chat through permanent text and images (you can do this by swiping left on one your contacts). Also, Snapchat added filters. 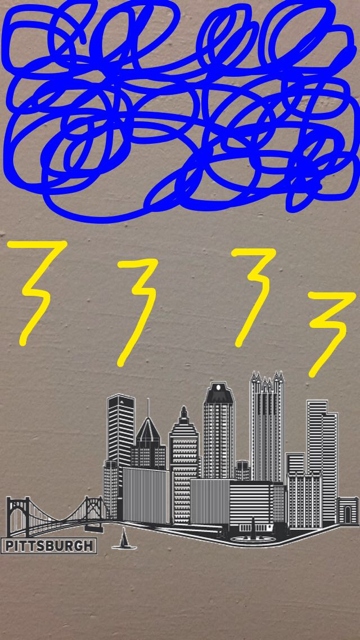 Some of these include black and white, sepia, an icon of the outside temperature, and a small graphic representing your location (for example, the Pittsburgh skyline pictured below). These added features allow users to connect on more levels and be more creative with their content. 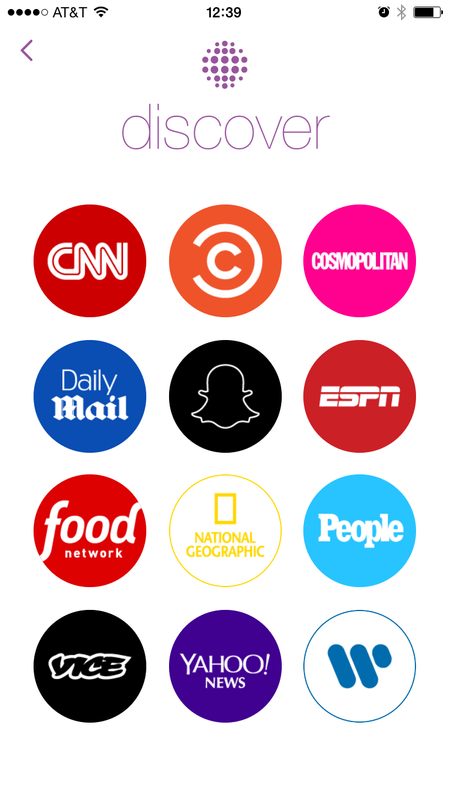 More recently, snapchat added its Discover feature, which connects users to content from twelve different organizations including ESPN, Cosmopolitan, CNN, and the Food Network. Here, viewers can look at several stories from each organization. These disappear after one day and are then replaced by new stories. This feature gives users access to Twitter-like news stories and contact with third parties while maintaining the app’s ephemeral and creative qualities. Snapchat reflects real life conversations. CEO Evan Spiegel said in a speech about the secrets to Snapchat’s success, “That’s what Snapchat is all about. Talking through content not around it. With friends, not strangers. Identity tied to now, today. Room for growth, emotional risk, expression, mistakes, room for you.” By utilizing current trends and multiple communication features, Snapchat integrates what users want and makes the app more private and personal. For fun, snaps from your dog: http://www.buzzfeed.com/chelseamarshall/27-snapchats-from-your-dog#.xi34WdaBY. I think that your analysis of Snapchat’s popularity hits on a depth that I’ve never considered. I actively dislike Snapchat and have never sent more than 10 snaps, ever. But your justification for its popularity makes a lot of sense, particularly for our specific demographic–college students who want to communicate with their friends quickly, easily, and without requiring much in the way of an attention span. You also mentioned aspects of the platform that I had no idea existed, like that pressing down on the screen at the same time as your friend will allow you both to experience the other in real time. Who knew? When I’d heard that organizations were beginning to use Snapchat, I was mostly just confused. But after looking into it myself, it makes complete sense, as it’s a perfect way for companies to reach a young, trendy audience. By taking over a platform that isn’t immediately associated with news, organizations like CNN can get their message across in a concise, quick, entertaining, visual way that really speaks to younger people. The visual component separates Snapchat from the other quick-news app for this demographic: Twitter. Personally, I’m amazed that Snapchat has maintained this level of popularity for this long. With organizations consistently finding new ways to utilize that platform, I’m curious to see where it goes from here! I am an avide SnapChat user. When I first heard about the app it was because I heard that it was created by two members of the same Greek organization as me, which I thought was really interesting. Just after a few uses I was hooked, but that was when it was a simple social tool. SnapChats growth in the past three years is very exciting. It has grown to become a competitor among social media platforms. I found this article very enjoyable because of how it highlights on the success that SnapChat has had because recently I feel that has gone unnoticed due to some accounts being hacked and pictures release. This is an issue, but as a company SnapChat is always quick to write its wrong and make sure to keep their users safe and loyal. This was a good read. I also think the analysis of why Snapchat hasn’t faded out of popularity is super interesting! With the increasing ability of employers to track one’s social media presence privatization and anonymity have become essential factors for the potential popularity of a social media platform. Users like the ability to craft personas independently on various platforms so that they retain the option to change this in the future. Having no record of what you did your freshman year of college is extremely appealing to the vast majority of millennials. I wonder what effect the Snapchat phenomena will have on future creations of social media platforms? I’m fascinated in this transition with Snapchat into content creation. The fact that there is news being delivered through Snapchat. I also love those stories that revolve around a certain current event like the Final Four. It an interesting way to experience an event that you didn’t rather than through the television or news article. It can provide a simulated feeling of actually experiencing the event. I also appreciate that it puts the power in the hands of the people, using the collective to tell a story. However, the new news aspects I can see problems with. The fact that Snapchat allows you to choose how long you view a story can lead to selective viewpoints and users not getting the whole story. I’m also concerned that it led to under reporting and the facts not being supported well enough. Good research you have here! I never really thought of Snapchat in the light of popular trends of today’s social world. 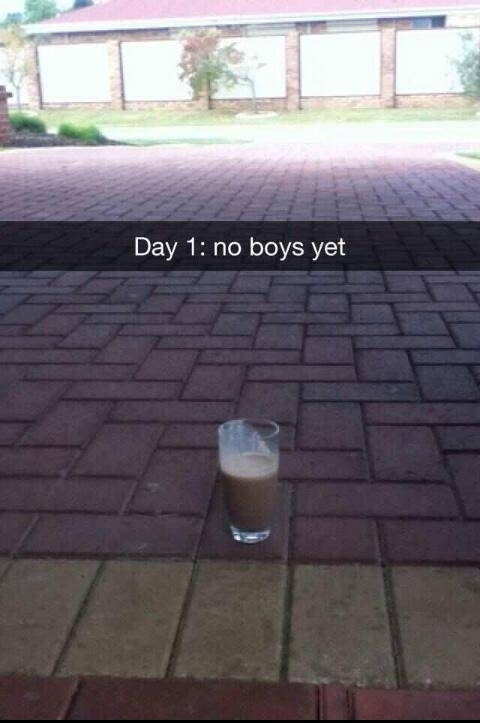 I, too, tried to avoid the Snapchat trend, but eventually fell victim to it. Like most everyone else it seems, I enjoy it because it doesn’t have a sense a permanence. Many people use this feature to take the most awful pictures of themselves-but that brings me to another question. It’s extremely easy to simply screenshot a picture that someone Snapchats to you. For example, I have a friend who sends me hideous pictures of herself every single day, and I screenshot them and save them and occasionally I’ll tweet them (like on her birthday-It’s all fun and games, right?) Even though it notifies you when someone screenshots your pictures, there are applications such as SnapBox and SaveMySnaps that allow users to save snapchats they receive without anyone ever knowing. Does this defeat the purpose of Snapchat? Or are we to assume that our pictures can still travel across the web as easily as an Instagram picture? That’s something to ponder.